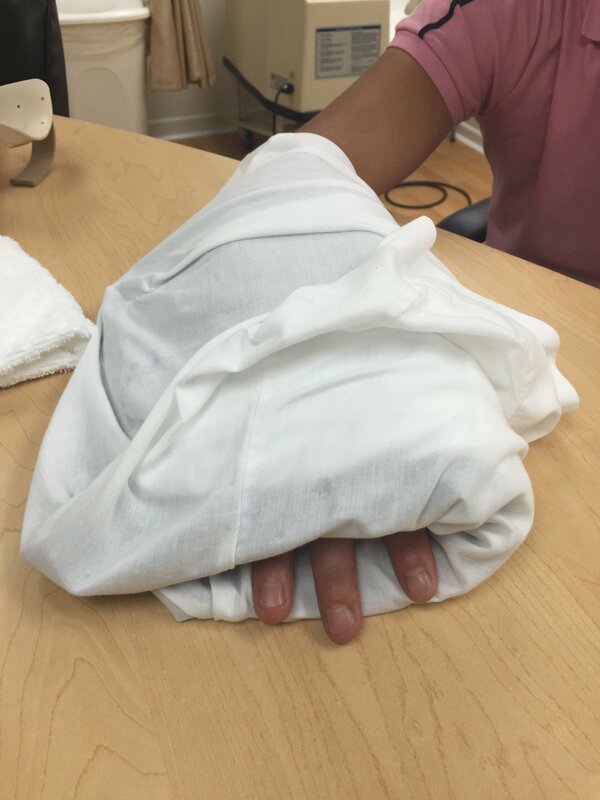 One of the main areas of practice for hand therapists is treatment after surgery or injury, including crush injury. What is a crush injury and how can you get one? What happens afterwards? Your occupational therapist in Doral tells you in today’s article. A crush injury of the hand is usually caused by a heavy object falling on the hand or the hand getting caught between two heavy objects or forces. If you work in a factory and your hand gets stuck in a press, or you slam your hand in a door, or you get into a car accident and your hand gets stuck between the steering wheel and the dashboard or you’re out hiking or climbing and a rock falls on your hand — all of these would be examples of crush injuries. Just as the examples range from painful-sounding to extremely painful-sounding, the range of injuries can range from minor to severe. In minor cases, you’ll experience some bruising, swelling, or lacerations in which the pain might last a few days. In more severe cases, you may break a bone or damage important structures like ligaments or blood vessels. In the most serious cases, you could develop something called “compartment syndrome,” which happens when tissue is without blood for a long period of time. It causes damage to the nerve and leds to death of muscle tissue. Of course, this is rare, but it is possible. Minor crush injuries, like slamming your finger in a door, usually do not need treatment. However, if you notice after the swelling and bruising subside that your finger or hand isn’t working as it used to, or if you don’t have control over your movement, then an appointment at an occupational therapist in Doral will be useful for you to restore movement to the affected area. Major crush injuries that involve broken bones or nerve damage, which you may identify through its “pins and needles” feeling, should be first treated at an urgent care center or the emergency room. When the injury heals, you’ll need to start hand therapy in Miami to regain normal functioning. Our certified hand therapist in Miami, Dr. Hoang Tran, will develop a treatment plan that involves stretching and strengthening exercises to reduce stiffness and restore your full range of motion. She may also recommend massage or electrotherapy if the hand isn’t responding to traditional methods. Hands On Therapy provides hand therapy, occupational therapy and massage in Miami to treat a variety of conditions affecting your daily life. If you are having pain in your hand, wrist or arm that is hindering you from working or living, contact our occupational therapist in Doral today to make an appointment.